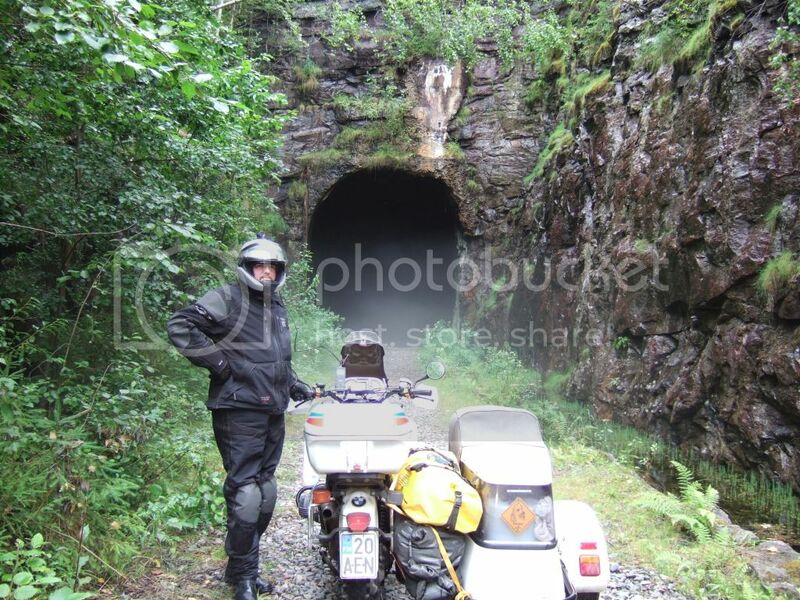 The highlight of our day 2 was the ride through the Pönttövuori tunnel nearby Jyväskylä. It's an old deserted railroad tunnel. The track and ties have been removed and loose gravel is left. What a better way to test one's own bravery. I had serious worries whether my better half will manage with the Suzi. 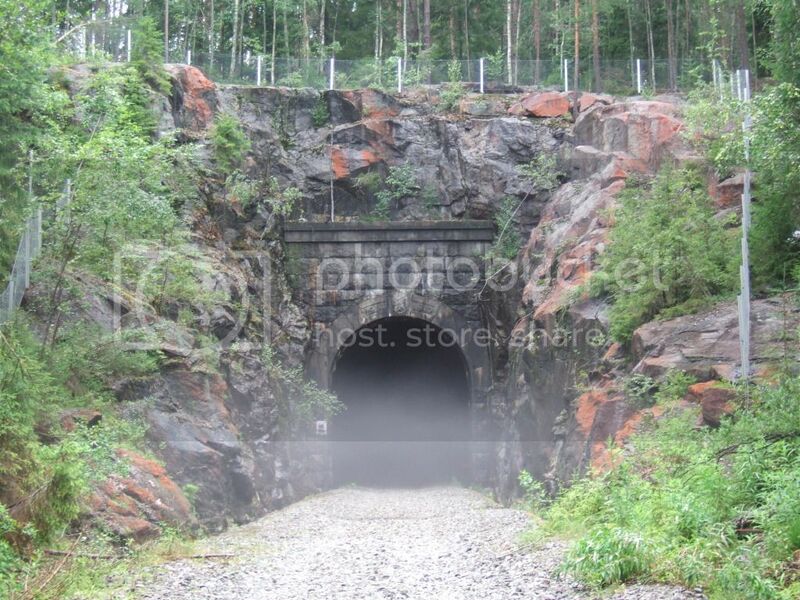 The tunnel is about 1.2km long, was finnished in 1918 and used until 1995. Thanx to the BMW GS meeting folks - I had the pleasure to ride this once before. and BTW, I have Xenon lights at my bike - not the old and sad BMW "pocketlamp". Milady slightly relieved - it's over ;) - well done! 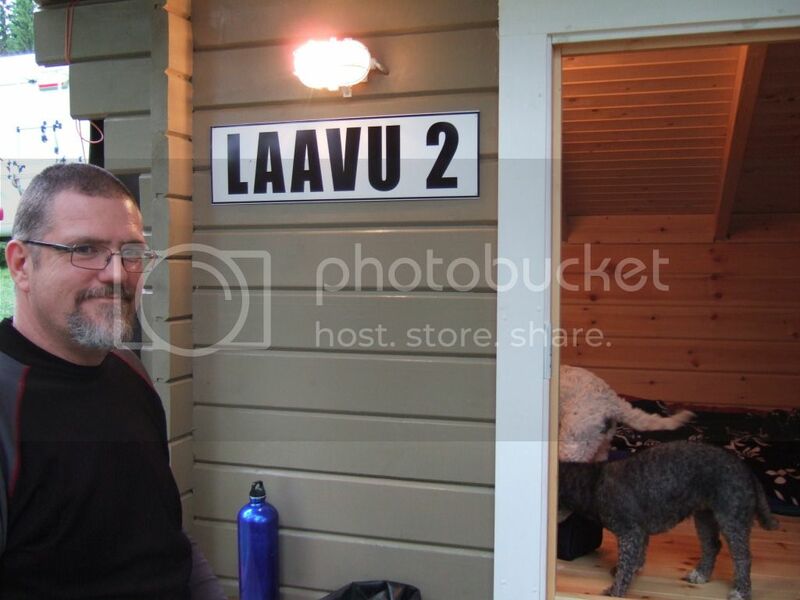 We ended the day in Leppävirta after riding some 280km small roads and gravel roads. 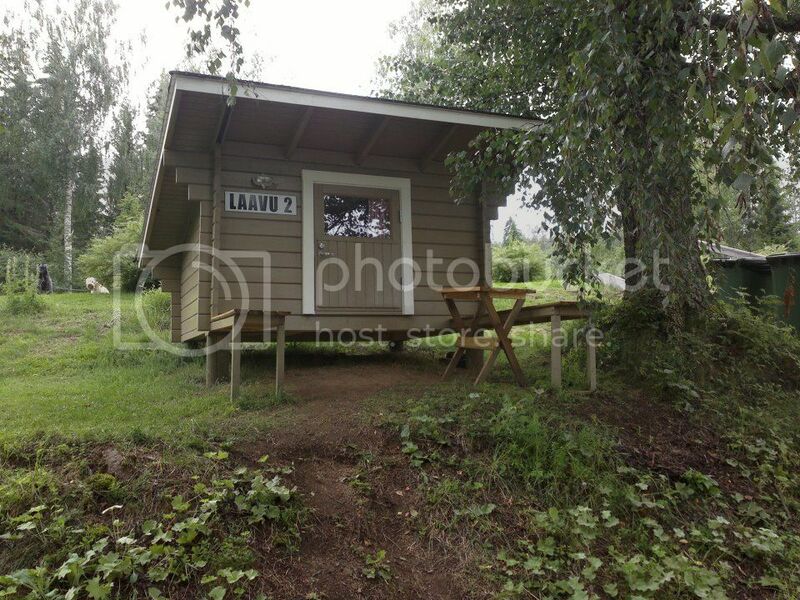 At Leppävirta camping ground the owner had a new type of accommodation - permanently build Laavu. 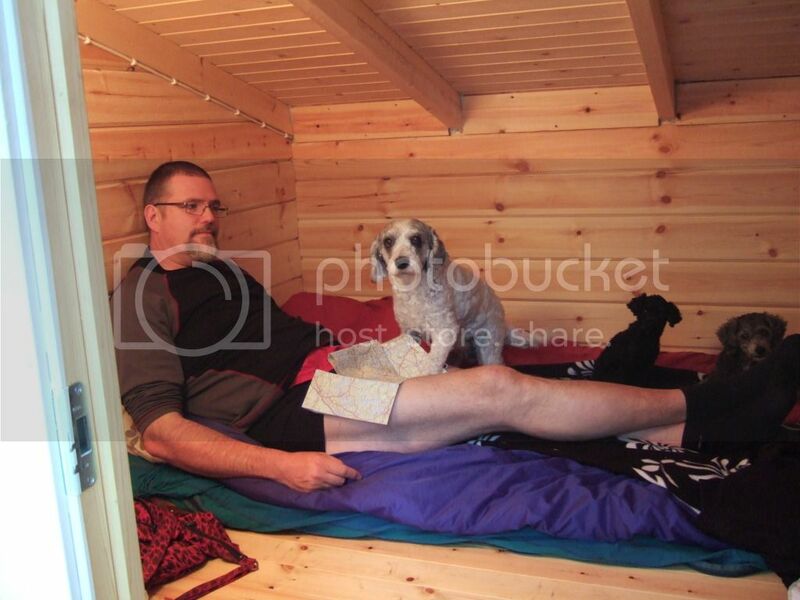 Really cozy inside.